How many times have you cursed the tele-callers for disturbing you with the promotional calls or SMSes? Ever considered registering your number in the Do Not Call Registry? Or have you tried only to fail and add TRAI in your curse list? If you fall in any one of the above groups (just like us :)), try the DND app. 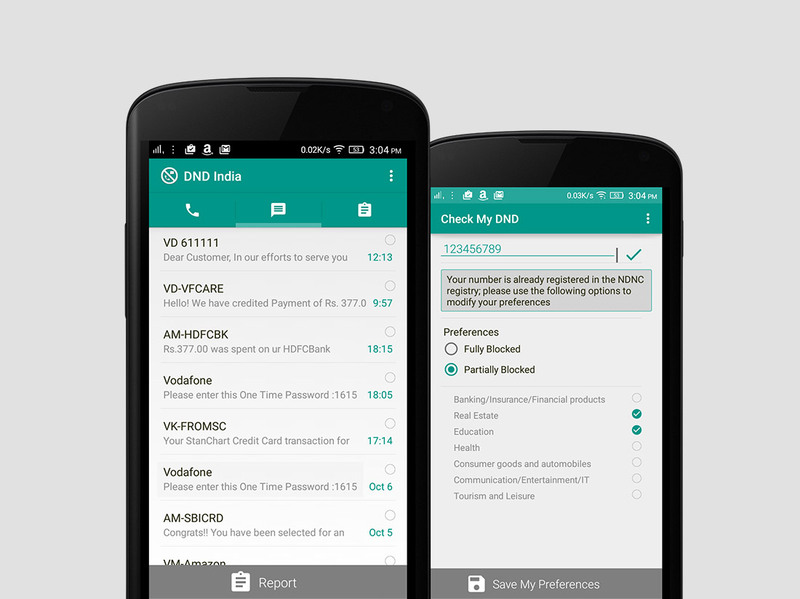 The DND app lets you register your mobile number with the NDNC registry and manage your preferences in just a few taps. You can report the unwanted SMSes/ Calls to TRAI from this app and even view a list of reported items. 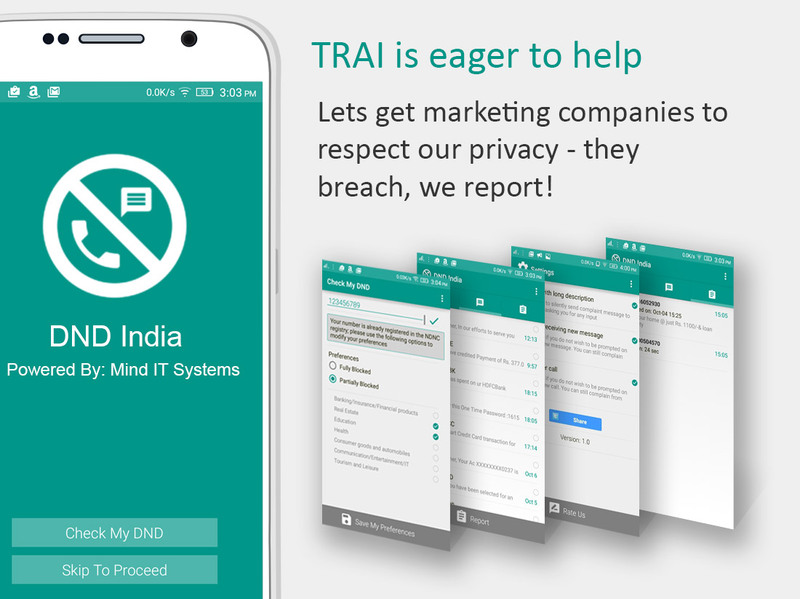 The idea is to make it very simple for you to report the pesky calls to TRAI and help them take action against telemarketers who do not abide by the rules.